Festus is 16 years old born on 12th August 2002. He is a form one student at Makwa Boys High school. He has been in the program for 11 years and his sponsor recently abjured. He has benefited from improved education, nutrition, healthy and community support. His father died of HIV/AIDS. Festus is HIV negative. Festus is a bright and social student. 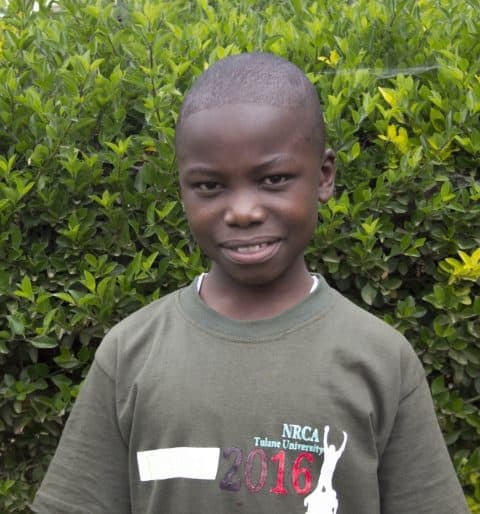 He likes playing soccer and he is an active player for the school team. He lives with his grandmother, aunts and cousins at Kawangware Muslim slum. The house is single roomed made of irony sheets. The room is divided with cloth to fit the bedroom, kitchen and sitting area. They buy water from a distance for domestic use. They use charcoal for cooking. The grandmother make beads for sale to earn a living for the large family. 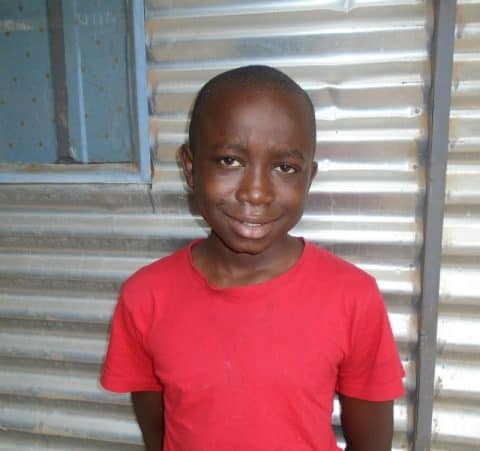 Festus eats two meals per day and sleeps on a mattress that is placed on the floor during school break.